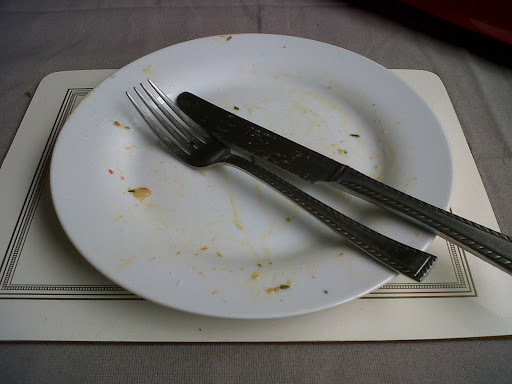 This is a firm favourite in the Little Treasures household always guarantees licked cleaned plates afterwards! 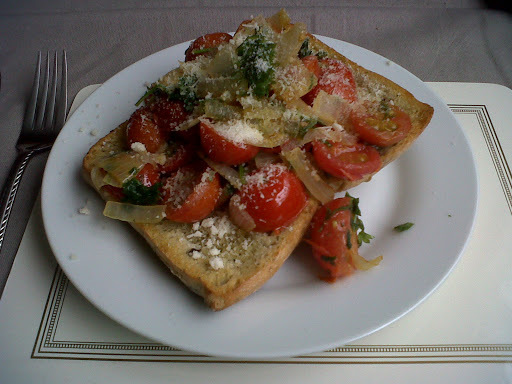 I have eaten many a Brushcetta when out in restaurants but they always leave me disappointed, not to sound big headed but you can not beat using fresh ingredients, some I have eaten that have used tinned tomatoes have been awful and you end up with a soggy mess, that was served to me at a top Italian local restaurant…..maybe that is the correct way to cook it, who knows…all I know is this is my version and its so simple and above all YUMMY! anyone can do it. 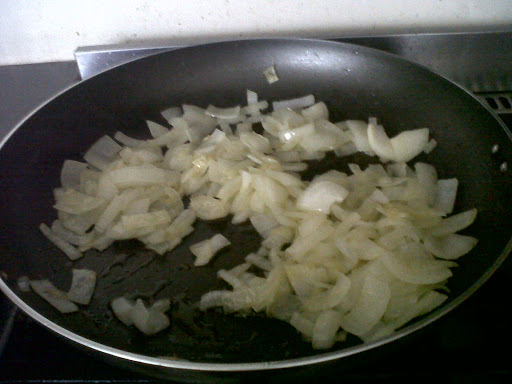 Slice or dice the onion, whichever you prefer and put in a pan with a little drizzle of Olive Oil to soften. 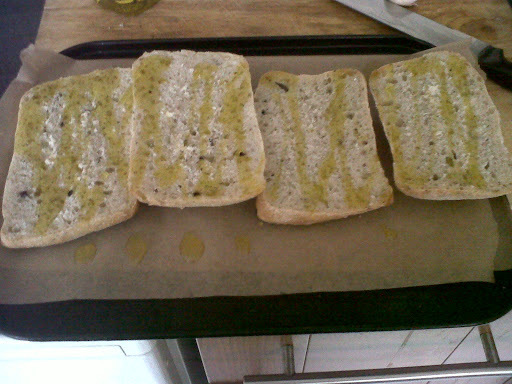 Slice the Ciabatta Rolls in half and place on a baking tray and drizzle with olive oil and put into the preheated over for about 7-8mins or until toasted and beginning to turn golden. 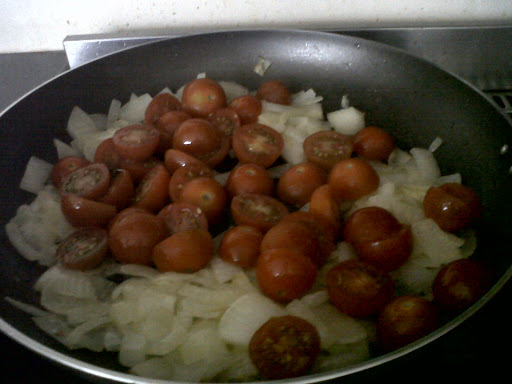 Slice the Cherry Tomatoes in half and add to the softened onions. Season to your taste with Salt & Pepper. 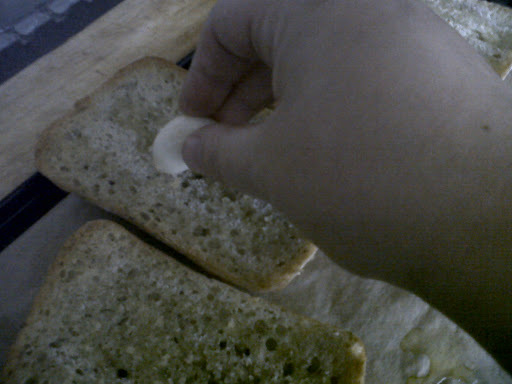 When the Rolls come out of the oven, rub the garlic clove over the top of them. 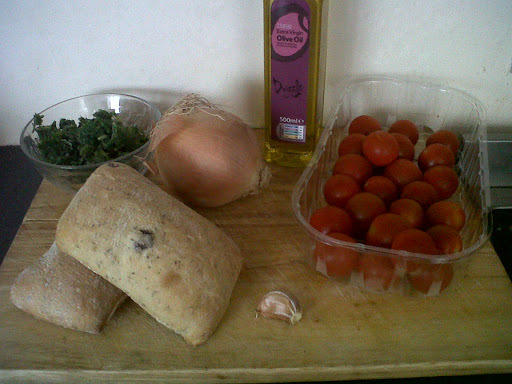 I was told that the authentic way to cook Brushcetta was never to add the garlic to the mix, just rub it over the bread. 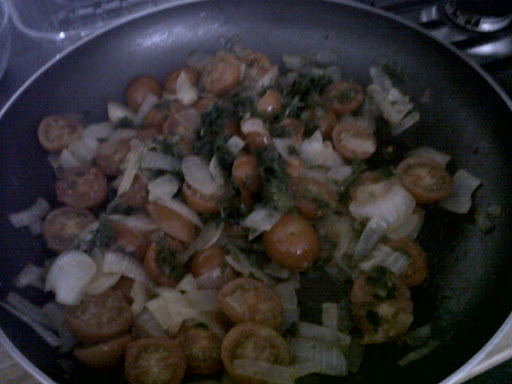 Add in the Parsley and the Basil, completely up to you how much you add, depends on your personal preference! give it a stir through….and its ready to serve! how quick was that! I like to finish mine off with a dusting of Parmesan Cheese. Previous Kitchen Wall Display – Finally Done – yipee! oh I am loving this!!! 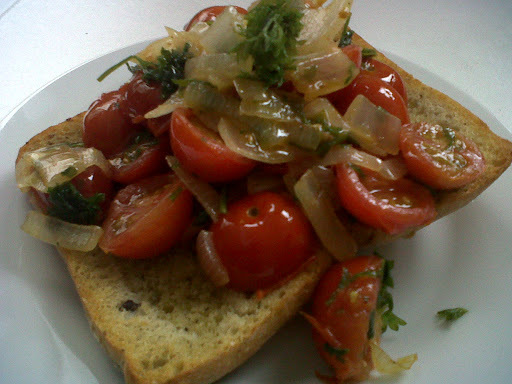 we have so many cherry tomatoes this makes the perfect snack….and healthy!! New follower from Mommy Brain. Love for you to stop by and return the follow.